Last month I attended my first launch party ever, truth be told, but I find it impossible to imagine another as purely enchanted as this one. 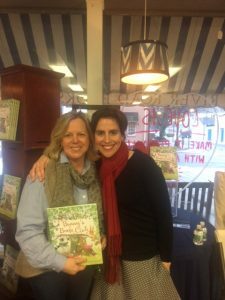 Truly, I felt spellbound from the moment I entered the quaint little bookstore where Annie Silvestro personally greeted every person who walked through the door to celebrate the highly anticipated publication of Bunny’s Book Club. 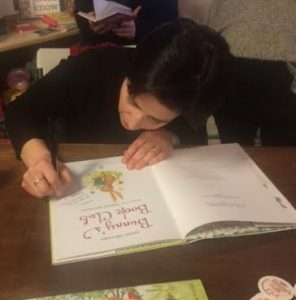 I came, first and foremost, to secure multiple copies of Silvestro’s debut children’s book, illustrated by Tatjana Mai-Wyss. One look at the cover illustration alone urged me to throw down all of my day’s work and join the sweet little entourage of animals with noses pressed to books. 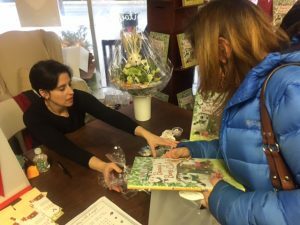 As I nibbled on my carrot cake and wound my way through the colorful stacks of the bookstore, I listened in on snippets of conversation among the multitude of adults and children who eagerly awaited their turn to speak with the author. 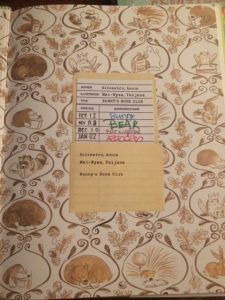 They opened their precious copies of Bunny’s Book Club, pointing to their favorite illustrations and reading aloud bits of dialogue, changing voices for Bunny, Porcupine, Bear, Mole, Mouse, and Bird. That evening as I read Bunny’s Book Club aloud to my 10, 7 and 4 year old children, we fell instantly under the spell of the marvelous rhythm of Silvestro’s prose and Mai-Wyss’ exquisite illustrations. 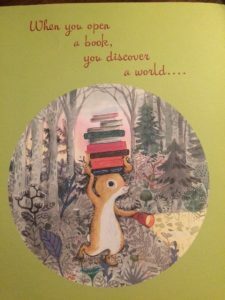 With just the right amount of tension, the tale of a bunny who cannot be separated from his beloved books kept us all invested right up to the very last gem of a page. This book is destined to become a classic. No child’s bookshelf should be without it. It is a rare gift when I am able to exact the same amount of pure pleasure from a picture book as do my children. 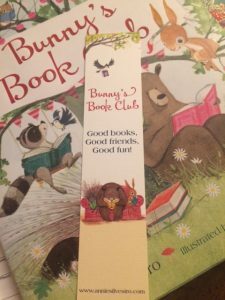 Bunny’s Book Club made my heart happy and reminded me of childhood afternoons spent exploring my local library before curling up in whatever cozy nook I could find to get lost in my books – a habit I nurture to this very day. 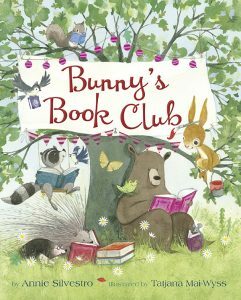 Thank you, Annie Silvestro and Tatjana Mai-Wyss, for Bunny’s Book Club! 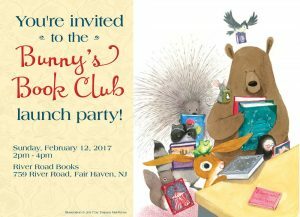 Buy Bunny’s Book Club on Amazon, Barnes & Noble or at your local bookstore (shout out to River Road Books in Fair Haven, NJ). STAY TUNED for a signed book giveaway next week, right here on Play. Eat. Love. – Motherhood Explored.